Secure method to prevent rope ends from fraying. Thread the twine between the strands. Wrap the long end around the rope. Pass it under a strand, down a groove and under a strand, up a groove and under a strand. Similarly, pass the short end down, under, up, under, down and under. 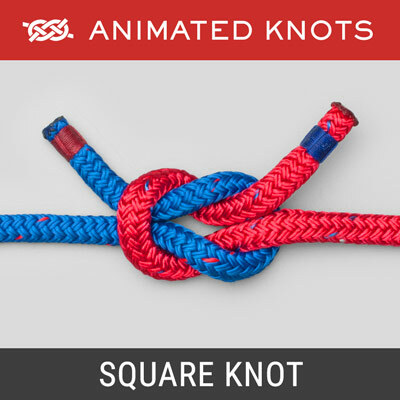 Tie the ends with Square (Reef) knots. Pull them through, cut short, and trim. Uses: The Sailmaker's Whipping (ABOK # 3446, p 547) is the most secure whipping. The whipping turns are contained by the frapping turns that both grip the rope and prevent the whipping from unwinding if damaged. 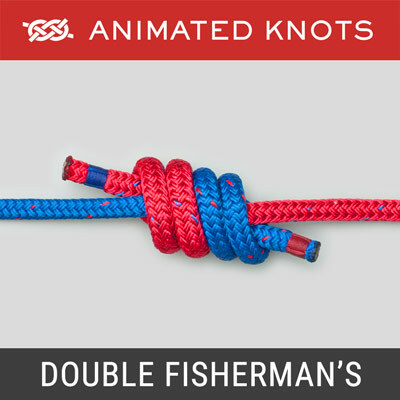 It looks most satisfying when applied to the end of a three-strand rope - each pair of frapping strands follows the twist of the rope and is accommodated in the groove. This whipping can be used equally well on braided or kernmantle rope - but greater care is required to distribute the frapping turns evenly round the whipping. Needles: With three-stranded rope, this whipping can often be tied without a needle: the strands of the rope can be opened up by hand to pass the twine through between them. However, a large needle makes the task easier and is essential equipment when tying a Sailmaker's Whipping round a braided or kernmantle rope. Number of Frapping Turns: Many texts describe this whipping with just one frapping strand lying in each groove - which necessitates a different start to the whipping. 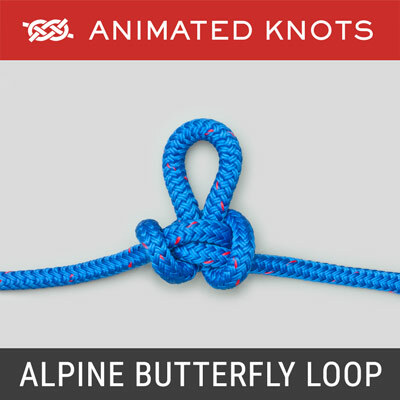 As shown in the animation, the short end is initially threaded diagonally and is wound inside the whipping. When using a single frapping turn, the short end must be left outside the whipping turns and then threaded up outside the whipping and through the rope to trap the long end. 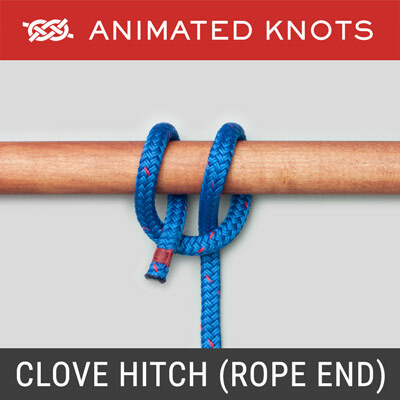 Completing the Whipping: The animation describes finishing the knot with a chain of square knots. If necessary, use a needle to pull this chain through the rope. The knots are then buried and very unlikely to shake loose. Burning the end: A rope's end, whipped with a Sailmaker's and trimmed is a neat and attractive work of art. Although melting the end diminishes its beauty, it is sensible, provides additional protection, and is recommended. For ropes that do not melt, e.g., aramid core such as Kevlar, it is still worth doing as it still seals the sheath. Ideally, trim the aramid core shorter than the sheath and burn the sheath to cover and bury the core. Braided Rope: It is relatively easy to decide where to thread the twine in three stranded rope - the gap between each of the three strands provides a natural target and the three strands dictate that one pair of frapping turns will lie in each groove. In braided rope the principle is the same, the frapping turns should be distributed evenly round the rope. 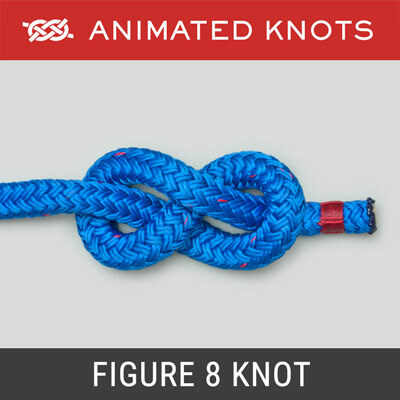 However, in smaller braided ropes, it is not uncommon to see just two sets of frapping turns 180 degrees apart instead of three sets 120 degrees apart. 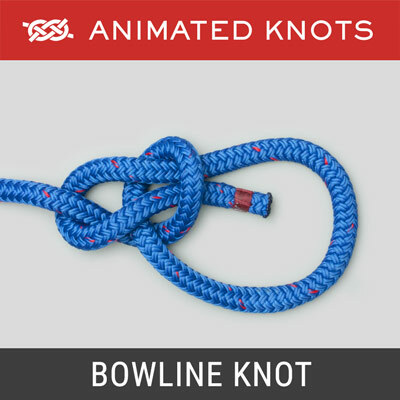 For larger, and more valuable rope, three sets are strongly recommended.